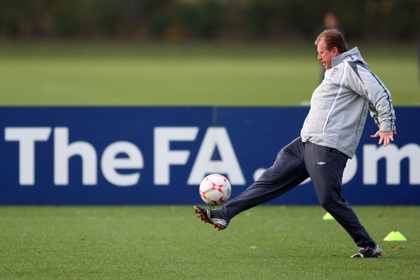 THE VOTE Should Steve McClaren be sacked if England DO qualify for Euro 2008? Before the paint on Israelâ€™s upright saved us from Russia scoring the goal that would have knocked us out of Euro 2008 we ran a poll asking if Steve McClaren should be sacked if what we thought the inevitable happened. A unanimous 84% (762 people) said that if McClaren failed to take us to the Alps his time was up â€“ but has anything changed now that weâ€™re in a position to go through? All we need is a home draw against Croatia and if we win weâ€™ll end up topping the group, which was unthinkable only a couple of days ago. Does McClaren deserve a stay of execution for turning it around or will we just be papering over the cracks by keeping him?